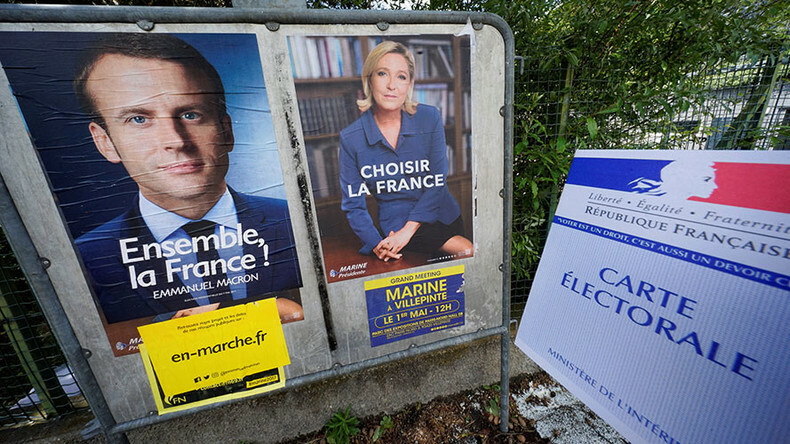 Only a few days before France heads to the polls for a crucial vote to choose its next president, surveys show there are millions of people who are undecided who to vote for, or intend to abstain rather than support either of the two candidates. 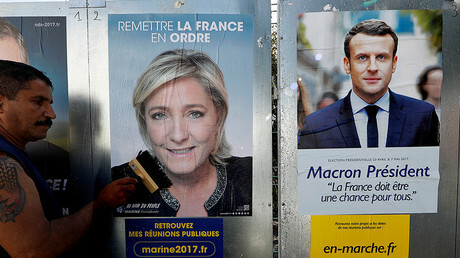 With the traditional right and left absent from the second round in French presidential elections for the first time since 1958, some 47 million eligible voters are faced with the choice between centrist Emmanuel Macron and far-right Marine Le Pen on May 7. Seven in 10 voters are unhappy with this choice, AFP reported on Wednesday, citing a survey. About one in four say they plan to abstain in Sunday's runoff, the news agency added, saying that the dilemma is expressed as a choice "between the plague and cholera." The turnout and the numbers of abstentions in the upcoming second round have become a big issue, with a significant number of undecided voters able to swing the result either way. While some of the eliminated candidates, including Republican Francois Fillon, have called on their supporters to give their votes to Macron, the independent leftist Jean-Luc Melenchon has refused to advise his supporters which way to vote. Melenchon's movement, La France Insoumise (which translates into English roughly as Unsubmissive France, or Unbowed France) has recently carried out its own survey of voting intentions among their supporters. Voting for Le Pen was not an option in that survey, and 35 percent of the respondents said Macron would be their choice in the second round. Thirty-six percent of potential voters said they intend to cast a blank ballot paper or a no vote, with 29 percent planning to abstain. As of Wednesday, Macron had a 20 percent poll lead over Le Pen, with 60 percent of potential voters having expressed their preference towards the former banker, Reuters reported, citing an Ifop-Fiducial poll. However, Macron's strong lead in some cases is an anti-far right's candidate vote, rather than a pure support for the centrist. "I never imagined the National Front could get so big," a man in Paris, who said he would vote for Macron in the runoff, told AFP. "I loathe Marine Le Pen, she makes me sick, but I'm thinking maybe France needs a real jolt," a woman in Marseille told the news agency. "It's become a very tense situation," another Parisian commented, saying, "It's frightening to see France so fractured." On May Day, the French capital and other parts of France were engulfed in protests, with people having taken to the streets to reject both candidates. Groups of radicals took advantage of thousands-strong marches, which resulted in violent clashes with police.